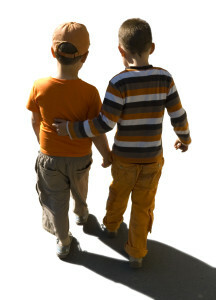 Are your child’s feet turning inward when they walk? Do they walk differently to other children their age? Do they trip over constantly? Our podiatrists have found that leaving “funny” walking patterns untreated can lead to foot, knee, hip and gross motor issues in later life. Early intervention is always easier to treat as there is less ‘programming’ to ‘undo’. Collapsed arches, intoeing (pigeon toe walking or feet turning inwards) and toe walking (walking on your tippy toes) can have several causes. Depending on severity and the cause of the the problem, children may grow out of the condition. If your child doesn’t it may lead to pain later on as a child or even as an adult. 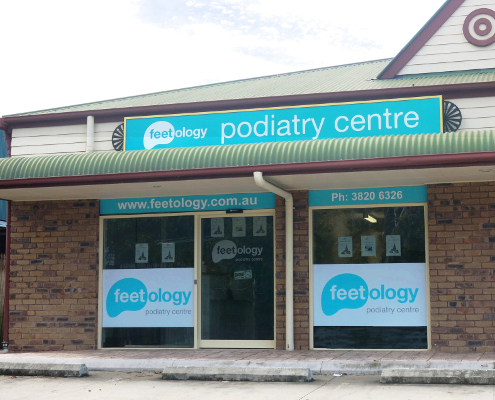 If you are concerned about the appearance of your child’s foot, one of our podiatrists can perform an assessment of your child and their walking patterns. We can then advise on the best course of intervention, if any is needed at all. This is a really important step to confirm whether what you are seeing is a problem or just normal development. Many of the problems that we find with children’s feet can be treated with stretches, balance programs, appropriate footwear, orthotics (special arch supports), and in more severe cases splinting (using special supports that are worn at night time). Call us or request an appointment.